Roy Alloway, the former drug detective targeted in a federal gun selling probe, won’t be sentenced in federal court just yet. 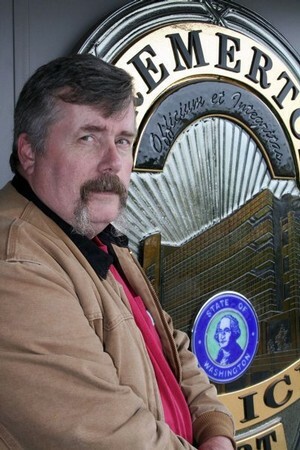 Alloway, a longtime Bremerton police officer, pleaded guilty in October to unlawful dealing in firearms and filing a false income tax return (both felonies) in U.S. District Court. He was to be sentenced Jan. 20 but the case has been delayed, according to Emily Langlie, spokeswoman for the U.S. Attorney’s Office in Seattle. He’s now set for sentencing Feb. 23. The South Kitsap resident, 56, worked inside both the West Sound Narcotics Enforcement team and the Bremerton Police’s Special Operations Group. He was especially well known for his marijuana enforcement efforts. He ran into trouble, the feds say, purchasing nearly 400 guns from three different federally licensed firearms dealers between January 2005 and November 2010. He sold pistols to undercover ATF agents at gun shows without the proper licenses. Federal prosecutors believe he did so to make a profit. I’ll keep you posted on the case.